BRICS - Building Resilience in Community Services - Peel project was a partnership initiative between Peel Community Development Group (PCDG) and the WA Council of Social Service (WACOSS). The project delivered training and development opportunities to Peel as well as investigate shared services or cluster models of sustainability increasing the resilience of the sector. In this way the project was seen as a building block of building capacity in the community sector of the Peel Region. Hence the project name ‘Building Resilience In Community Services – Peel’ or BRICS – Peel. Establish an integrated system for contributing Peel data and collated information into social policy discussions and decision making. PCDG undertakes an important role in the Peel community by providing regional leadership by identifying and responding to the needs in the community services sector. PCDG advocates on behalf the sector, recognises gaps in service provision and regularly consults with the sector. The BRICS – Peel Project is increasing its focus on social sustainability, policy making and regional studies, as well as capacity building organisations within the Region. WACOSS, the leading organisation for the community sector of WA, provides strong central advocacy, policy advice, training and support links to ensure a strong, sustainable, unified and informed voice for the community sector. WACOSS also provides government with feedback on policies and programs to ensure they are relevant, and offers an alternative avenue through which government can discuss sector issues with service providers and consumers. 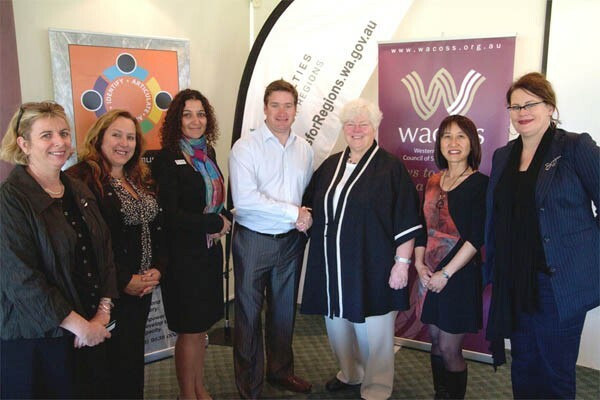 Through the BRICS – Peel project WACOSS is increasing its knowledge base and surety of information from the Peel Region. The BRICS – Peel project gained funding from a Royalties for Regions grant with support of the Peel Development Commission who noted the project as one of the region’s highest strategic priorities. This funding included support for 2 social policy seminars and 10 training workshops held in Peel in 2010/11 which provided significant capacity building of the sector. “This (project) shows the value of regional decision making and the importance of the community working closely with the Regional Development Commissions”, Minister Grylls said at his announcement of the project during the Bi-annual WACOSS conference in May 2010. The Minister is hopeful the communication model created as a part of the project will be replicatable to other regions increasing the capacity and sustainability of regional communities throughout Western Australia. The ‘George St Hub’ aimed to develop a flourishing and viable community precinct with a strong youth focus. Located at 28 George St, Pinjarra the premise was leased from the Shire of Murray. The central position of the George St Hub both in Pinjarra (main street setting) and in the Peel Region makes an ideal location for an outreach, co-locators premises assisting the Shire of Murray, neighbouring Local Governments and the Peel community sector. The George St Hub was based on a co-location and shared services delivery model providing a range of benefits not only to its tenants but also the local and regional communities. This project was supported by Alcoa Australia whose office is based in Pinjarra. 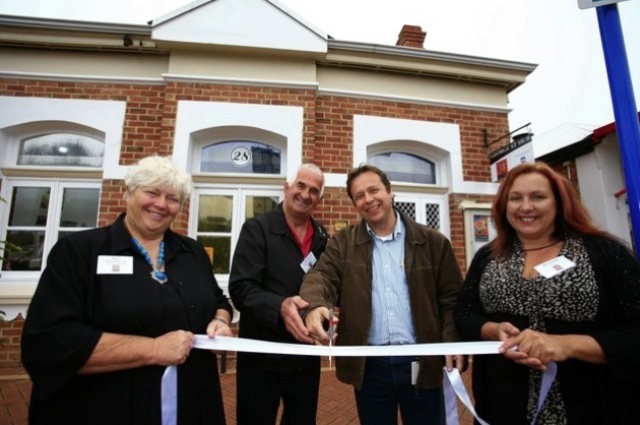 The George St Hub worked closely with the Pinjarra Community Resource Centre to ensure ample facilities and organizational support in the Shire of Murray for the increasing population’s need of community services. Peel Early Years Group (PEYG) is a voluntary, community group comprising of parents and professionals from health, parenting programs, education, childcare centres, family day cares, local government and other stakeholder agencies. The group endeavors to provide, by encouraging integrated working across stakeholders, a cohesive response to increase awareness and educate the community of the importance of a child’s first few years of life. The vision of Peel Early Years Group is to ‘value and support children in their early years’ and in achieving this vision the group’s mission is to: ‘To actively increase awareness of the importance of the health and well being in a child’s early years’. In June 2008 the Peel Community Development Group Inc (PCDG) was engaged by the Southern Gateway Alliance (SGA) and Main Roads WA (MRWA) to develop a project that would engage local communities to showcase and market the Peel Region along with individual localities through artwork displayed at various parking bays along the Forrest Highway. Stage One of the Bindjareb Art Trail project was enacted ephemeral art produced and staged at the opening of the Forrest Highway in September 2009. Stage Two of the project, with funding from Peel Development Commission Royalties for Regions program, involved the installation of a major artwork at the Dorsett Rd Rest Stop site on Forrest Highway in the Shire of Waroona. This site has significant infrastructure investment by both MRWA and Shire of Waroona, excellent heritage values and strong links to transport as a theme with its close location to the Harvey River. Lead Artist, Irene Osborne was engaged to construct the artworks. Irene, with a varied background of both sculptural and pictorial artworks, brought a rich diversity and empathy to the project. Community consultation workshops were held to ensure local contributions and themes were captured and reflected in the final artworks and two emerging artists Sheryl Osborne (unrelated) and Ralph Noble were selected to work with the lead artist during December, January and February to conceptualise and create the artwork. Main Roads WA and Southern Gateway Alliance kindly supplied two fantastic concrete arches, formerly bridge arches, which have been placed on footings on site. After receiving a coat of base colour these curved walls will be transformed into art that has an intent of engagement, knowledge sharing and inspiration. The artwork is visioned to have a strong heritage and environment theme in keeping with the leisure opportunities available at this site. A nearby walk trail meanders along the banks of the Harvey River which currently has some fantastic environmental restoration projects in place. The delivery of the arches for the Bindjareb Art Trail project was a sight to see and great credit to a very skilled team of workers and C& BJ Brickpaving. 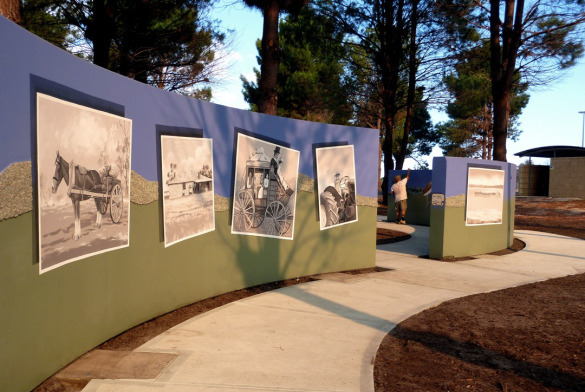 Members of the public are encouraged to take the time when next passing Dorsett Rd to view the progress of the artwork and to take a walk along the Harvey River – a lovely way to break a journey. The Bindjareb Art Trail project provided an immense opportunity to create a space – breathing room for the community spirit of Peel – to explore, grow and learn. The project has a strong focus on growth of regional art through the mentorship of emerging community artists by a lead artist. 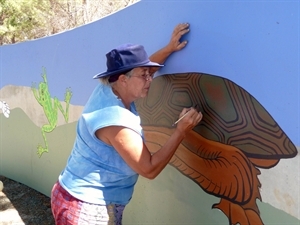 The Bindjareb Art Trail is a joint partnership between Peel Community Development Group, Main Roads WA, Southern Gateway Alliance and the Shire of Waroona. This project is supported with funding through Peel Development Commission under the Royalties for Regions grant funding program.